Fortress walls and castle towers, palaces and patrician houses are vivid illustrations of a turbulent past. Founded by the Romans, Koblenz is set at the famous Deutsches Eck (German Corner), where the Rhine and Moselle rivers meet. Ehrenbreitstein fortress and Stolzenfels Castle are part of the Upper Middle Rhine Valley UNESCO World Heritage site, along with the legendary Loreley and the romantic castles perched on the steep slopes above the Rhine. The town is set amidst four ranges of hills, and two thirds of the surrounding countryside consists of woods, open green spaces or water. The Romans founded the town over 2,000 years ago, calling it “apud confluentes” or “at the confluence”. 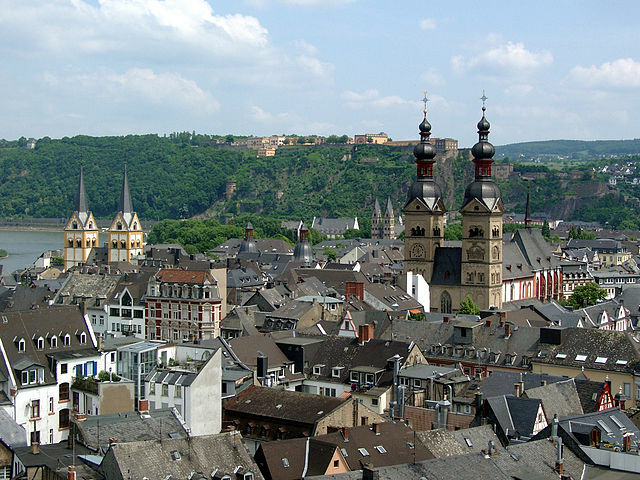 Today, Koblenz is a “small city” with a lot to offer those interested in art and culture.